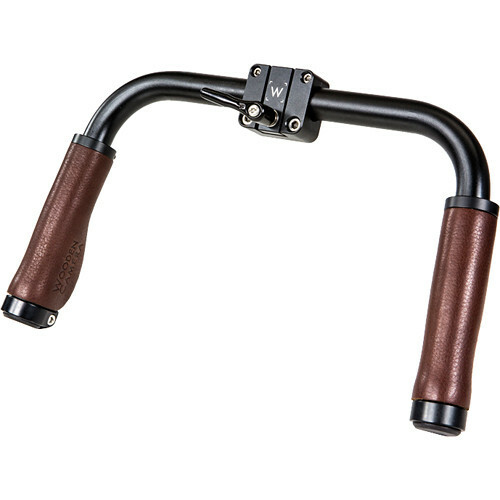 The Brown Leather Handlebar from Wooden Camera attaches directly to camera top cheese plates or to rod clamps for rod mounting. The brown leather ergonomic grips provides added stability. This handlebar attaches to two 1/4"-20 holes spaced 1.41" (36mm) apart center to center.